It takes courage to share one’s story about epilepsy. For one thing, people are busy living with epilepsy or caring for someone with epilepsy which takes an incredible amount of energy and time. It involves managing doctors (many times, several doctors and several medical centers), medications, treatments and school care. It involves managing relationships, fighting stigma and educating the misinformed. It takes courage to share one’s story about epilepsy when it can be painful and when the truth is very difficult to live much less put it out there for everyone to see. Aside from that, it can be really difficult to talk about caring for our loved one. We’re living it – why do we want to talk about it too? Laurie is an amazing mom who I think is very courageous for sharing her story. Her family has been through all the difficult crap that comes with epilepsy and she wanted to share her story. Laurie hadn’t written about it before but I am so grateful she did. I admire Laurie for openly sharing so much of what her family has been through for the past 20 years. Robert’s Sister: Tell us about the person you are caring for. Robert’s Sister: When was Kyle first diagnosed? Tell us about the process of getting the diagnosis. Kyle had his first seizure at the age of six. I came home from a meeting and saw Kyle snuggled in his dad's arms as they were watching TV. All of the sudden I saw Kyle's eyes turn up and sideways into his head and he went into a full blown seizure. His dad carried him downstairs and onto the floor. We called 911 and while we were waiting he was throwing up. Nothing the paramedics gave him could stop the seizure. I jumped into the back of the ambulance and he continued to seize. In the hospital they were giving him all kinds of things, but his seizure lasted 2 ½ hours. There was no official diagnosis at that time. He had been a perfectly healthy young boy. We didn't know what had caused this. It was a process of many doctor visits, and continued seizures (another one was 1 ½ hours), and calls to 911. We visited six hospitals, including those in NYC, Philadelphia and Boston, as well as a call to Johns Hopkins in Baltimore. Kyle continued to have an enormous amount of seizures after the initial one, and various kinds. At one point he was having around 100 “mini” seizures a day. I don't know how his young body wasn't exhausted. It probably was. How could it not be? 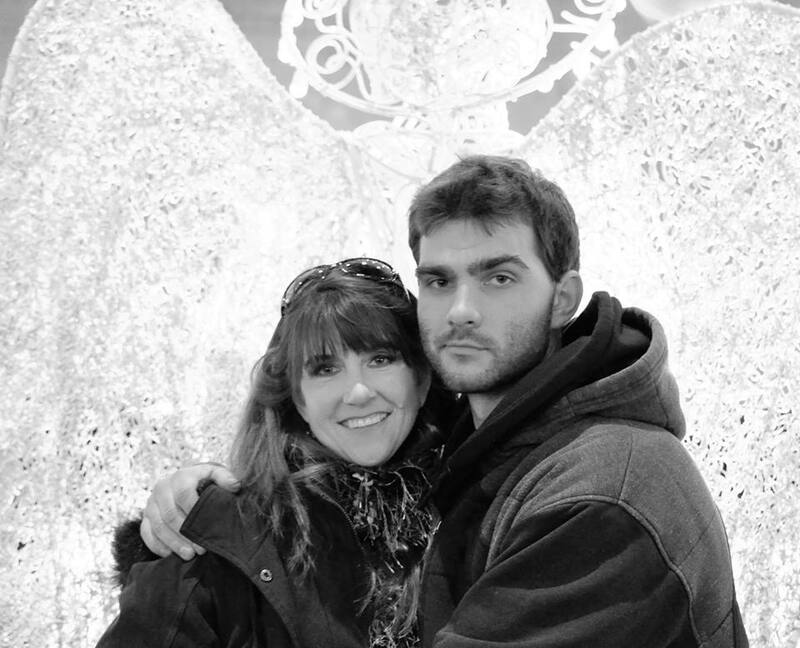 Robert’s Sister: How did you feel when Kyle was first diagnosed with epilepsy? Of course, the first thing is heartache and fear for your child. Then it was how could this happen. I nursed Kyle a long time. He never had formula. We made most of his food. He had regular doctor visits, and progressed at a “normal” rate (I hate that word “normal”). Who's to really say what is “normal”?! He did fall and hit his head on the edge of a wood burning stove as a toddler, needing two layers of stitches. No scans or tests of any kind showed internal damage to any area of the head or brain. I don't think at the time I was aware how epilepsy would change everything in our family – forever. The common goal was “what should we do?” Were we doing our best to help him? It was all-consuming. The endless tests, scans and medication adjustments. There were constant hospital stays for video EEGs – having to sit still each time while all those wires were glued to his head, hurting his scalp (and the smell of the glue was so toxic). Robert’s Sister: Did your family treat Kyle differently after the diagnosis? If so, how? I think it's natural to have a protective guard up. 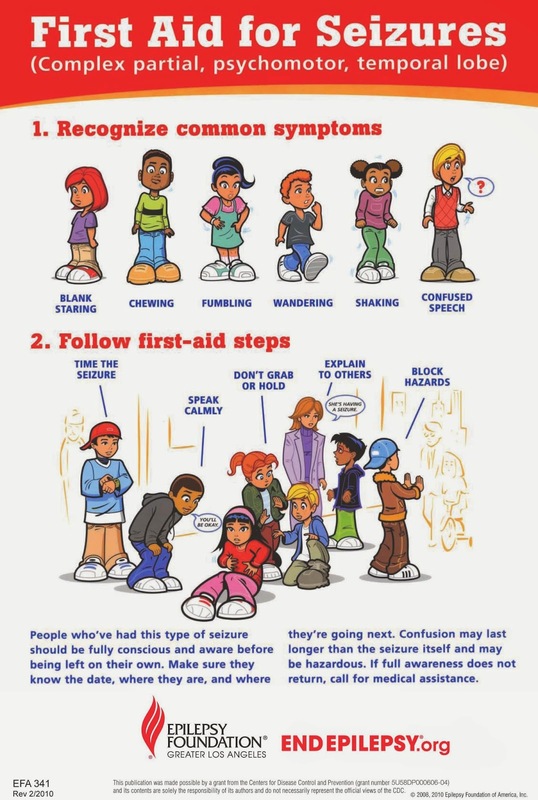 We told all the neighbors in the neighborhood what to do if he had a seizure at their house, and as he got older and was outside with friends, told them as well. Kyle has a brother 2 ½ years younger than him, and I think he felt protective of him. When Kyle would have a seizure in school, his brother, Keith, would run to the classroom. The main people surrounding him had an Ativan in their “pocket” at all times to break the seizure clusters. Robert’s Sister: Did the kids at school treat Kyle differently because he had epilepsy? In reality I believe he was cheated out of so much, and now at the age of 26 he still struggles with the basics, despite being extremely intelligent. I thought we were so on top of things, but were sold a bunch of malarky. I wish I could go back and see exactly what was going on. Kyle was called “epilepsy kid” – a painful “name” that Kyle remembers well to this day. Robert’s Sister: What treatments did Kyle try? What worked? What didn’t work? Kyle has been on so many drugs, I honestly would have to go back into pages of notes and records to try and remember them all. Some had very specific side effects. Depakote made Kyle put on excessive weight. I hardly recognize him in photos during that time. Something else made him go through an aggressive period. His brother put a dead bolt lock on his door. If his dad was working overnight (he was a fire captain), and Kyle was acting out, I would call my neighbor who was a police officer. He would go for a walk in the neighborhood with him and get him settled down and bring him back. It was a very difficult period of time. At the age of 10, they were finally able to pin-point the focal point of the seizures. Just prior to having a left frontal lobectomy, he had a WADA test (torture in my book). I sat behind him in his hospital bed trying to keep him calm as they “turned parts of his brain on and off,” so they could tell where they would be able to cut. Kyle remained SEIZURE FREE for two years. Then he threw up one day with a stomach virus. We didn't think to realize his meds had not been in his system long enough. Nobody ever told us. Kyle had a seizure. I ended up having NYU Comprehensive Epilepsy Center start a “Parents info section” in their newsletter....things parents (or caregivers) had experienced and might help someone else. 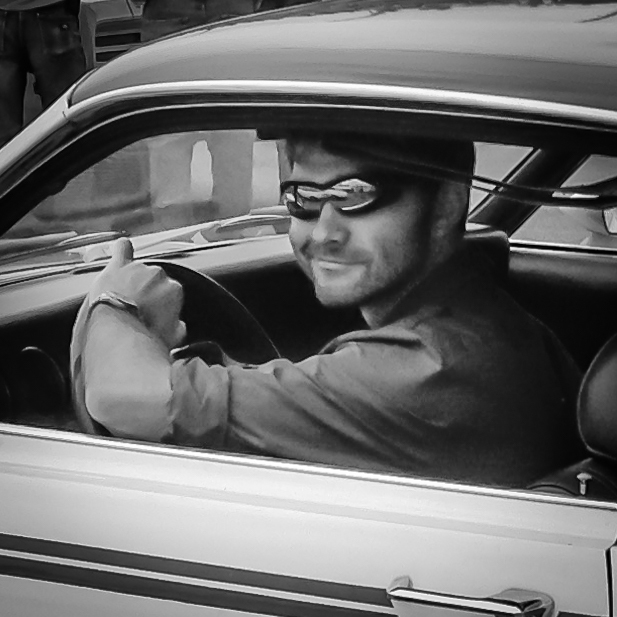 Kyle had his fourth brain surgery this June. He had a shunt put in to try and relieve an area of fluid causing pressure in his head, and continuous headaches. He remains, with the exception of an occasional “aura,” seizure free, taking medicines three times a day. Robert’s Sister: Do you think the medications affect how Kyle feels and behaves? Yes, I think Kyle just feels different. He is lethargic, and lacks drive. He has a lot of anger that he has epilepsy, as well as how things played out during his school years. He has not been able to accept things for how they were and get past the anger. I was very sick when I was 20, and I missed out on a lot of things my friends were doing. 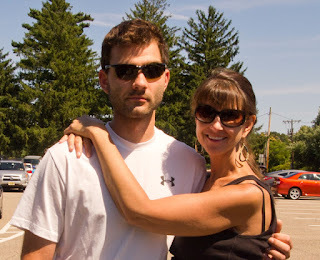 I can empathize with him – perhaps that is why I had gotten sick – because I would end up being Kyle's mom. Robert’s Sister: Have you done any advocacy work (individually or with an organization)? What made you want to be involved? I donated some of my original photography for a gift auction for the Epilepsy Foundation of NJ fundraiser, and solicited several people to donate desserts. This year I have signed up for the committee. I have written an article that was published in the FACES newsletter years back for NYU. I really could and should (another word I dislike) be more active, but life has a way of getting busy. I have also considered the Make-a-Wish-Foundation, as Kyle was granted a wish when he was younger. Robert’s Sister: How has epilepsy affected your life? I've had so many mixed emotions. Fear, sadness for my child, anger, frustration, joy for the control they've gotten over the seizures, sadness for time missed being spent with our other son (who I think could have managed his own apartment at 12 years old). I feel frustration regarding all the suggestions I give to Kyle, even in regard to “meet-ups” to make friends. He doesn't have a network of people his own age that accept him. He has to come into his own. I worry. I wish he and his brother were close. But that's how it is in families regardless of if anybody has any challenges. I just wish it was different. Kyle's dad and I couldn't really have a “couple” life. We had to keep track of things, sleep with our door open. At one point I was sleeping on the floor outside of Kyle's room. It would be pretty accurate to say it changed the whole family dynamics. Robert’s Sister: What is your favorite memory right now of Kyle? Of course as a mom, my heart and mind are filled with memories. We had a dog that we rescued. She had a wonderful, affectionate personality but was destructive. Kyle adored her and she would lay with him and he would hug her. I remember the love he had for her. Kyle is a very kind person. Robert’s Sister: What do you want people to know about epilepsy? I want them to not be scared. People with epilepsy are NOT stupid. Kyle had the highest IQ of any “kid” NYU had done surgery on at the time. He has an invention patent-pending. Epilepsy affects people of all ages, including the senior population. There are different types of epilepsy. Read. Become educated. Robert’s Sister: Is there anything else you want to say? It would be nice if people with any kind of challenges were more readily accepted by the general population. And if you know a caregiver, ask what you can do to help. Learn about their situation, and give them a “break.” Doing what we do, though I wouldn't have it any other way, is lovingly exhausting. Robert’s Sister: Please tell us how we can contact any organizations you support or if you have a website or business. Come back and join us for our 6th Annual Paint the Pony Purple event for epilepsy awareness on Sunday, March 12th! We are returning for our 6th year at The Stone Pony for a purple-themed, family-friendly day full of entertainment, and refreshments! I am very grateful Laurie shared Kyle and her family with us and I hope their story helps other families going through their own epilepsy diagnosis and treatment. It can be a brutal road but all you can do is your best and Laurie and her family clearly did just that. I think all caregivers go through periods of reflection and have moments of regret or wish things would have been different. It’s important for us to cut ourselves the same slack and give ourselves the same grace we would give to others. As most readers know, Richard is my husband and is my co-caregiver for Robert. I really wouldn’t be able to continue to care for Robert while working full-time without his help. Richard is at home every day to make Robert’s breakfast, send him a delicious lunch to program and then greet Robert when he gets home from program. 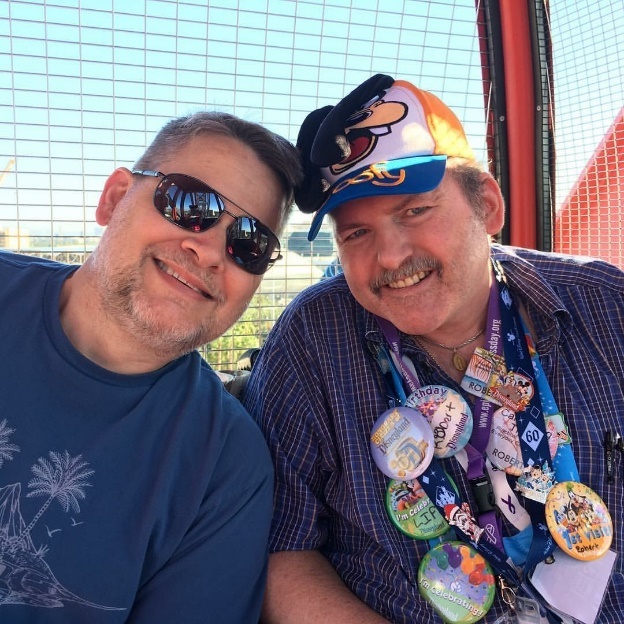 Robert loves his “guy time” with Richard and they joke and laugh and enjoy watching Family Feud or Wheel of Fortune together. 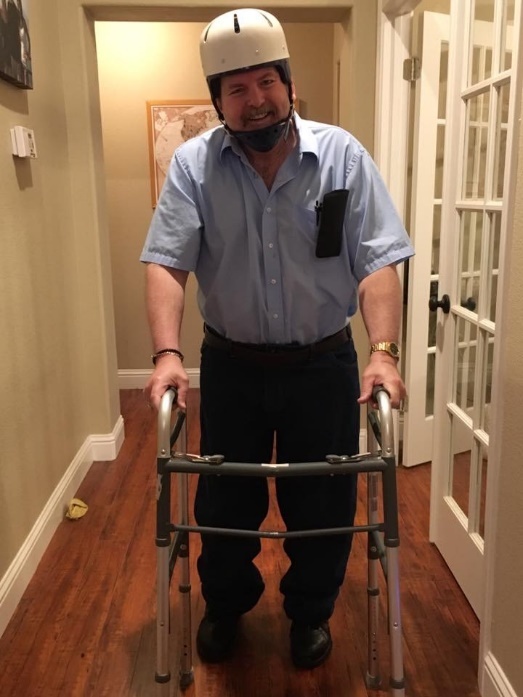 Richard is my “MacGyver” and is constantly coming up with ideas to make caregiving easier or more fun. He installed grab bars in our new home; he set up a rotating bath seat so Robert wouldn’t hurt himself in the new tub (and it would be easier for me to get Robert in and out of it) and he is the one who, years ago, found what has become our lifesaver: a urinal guard for Robert to use when he uses the bathroom! 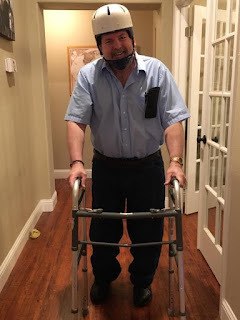 Richard also has ingenious ideas about fixing Robert’s walker or wheelchair and has even come up with a way to make a bowling alley for Robert! Robert loves to bowl and we have a very long hallway which Robert uses for playing ball with the dogs. Richard is creating bowling pins from large sparkling water bottles and we are going to have a bowling alley in no time! Of course, living with “two wild and crazy guys” can drive a girl batty sometimes but I wouldn’t have it any other way. Robert’s Sister: I am curious what changes have occurred in the last four years. Please remind us how epilepsy has affected your life. My wife and I care for my brother-in-law, Robert, who is now 51 years old. He now lives in our home and has for just under four years now and has been his advocates for just about eight years. Robert’s Sister: What is the most significant change in your life since our last interview? The biggest change in our lives since the last interview in 2012 is we ended up moving to a single story home to be able to give Robert a bedroom of his own as well as the access to an actual bath tub instead of giving him sponge baths. The second noticeable change in Robert is that his balance, incontinence and his overall ability to care for himself is very limited to feeding himself, once we cook everything. Robert is able to feed himself as long as we prompt him to keep things moving or else he can take two to three hours to eat a basic meal. Robert’s Sister: Has the treatment changed for your loved one? The treatment is pretty much the same. He is being watched more closely to make sure there are no major declines and this comes from us watching him and relaying it to his doctors. Robert’s Sister: What sort of cognitive, intellectual, emotional or physical changes have you noticed these last four years? Robert’s memory seems to be off by a year or so, yet at times when he starts telling you about his childhood and when things happened in his life his mind is like a steel trap. His religious connection is a strong as ever and he makes sure he’s watching church, wearing his white shirt on Sundays. He does seem to repeat thing quite often and more than normal. He can say, “Good afternoon, Richard” to me and five minutes later say it again as if the first time never happened. In that respect, this does seem to have gotten worse. Robert’s Sister: Do you think your life with epilepsy has improved, stayed the same or become worse these last four years? Can you tell us why you think so? Robert’s life with epilepsy has improved as he went from sleeping on a fold out twin bed in our living room on the first floor of our home with only a half bath and he was unable to make it up the stairs to a bath tub or shower. He now has a full bath room 2 ½ feet outside his bedroom door. Robert’s Sister: What has been your favorite moment these last four years? My favorite moment this past four years has been working with four other caregivers and coming up with a series of books, 365 Caregiving Tips: Practical Tips from Everyday Caregivers to help those starting their journey in caregiving or even those who are now veterans. These benefit not only those caring for someone with epilepsy but all ailments. The next best thing is getting involved with Epilepsy Awareness Day at Disneyland (EADDL) and for the past several years now being able to attend and take Robert down with us. Seeing his face when someone says they “know who Robert his from seeing his face on the internet,” – his face just lights up. It’s priceless. Robert’s Sister: What do you see for yourself or your loved one in the next four years? I am hoping to see minimal decline yet in looking back to four years ago and seeing his decline from then to now, I’m not sure where he’ll be. I am hopeful that some new treatment or medication will be created that will benefit him if even only in the slightest. With everything Robert has had go on in his life with the surgeries, medication changes, failed treatments and his recent decline I am so happy that none of it affected his religious beliefs. Without his praying, watching church on Sundays to his asking how you are 10-15 times a day or out of the blue saying he said a prayer for whatever ailment you have at the moment, he would not be Robert. I run a website to help those with chronic pain and I also cover topics to help the caregiver. I’m also on Twitter and Facebook. Robert is a man of few words but sometimes what he says really makes an impact. I interviewed him four years ago during Epilepsy Awareness Month and his answers were short but they gave me (and I hope others) a glimpse into how his mind works. He is a very positive person who can best be described as content. He is just a happy guy. He wasn’t always like this but I like who my brother has grown to be and have learned a lot from him. From my perspective, a lot has changed in the four years since I last interviewed him. I was curious if he thought so to. I was born with epilepsy. I’m doing more activities. I walk around the room a little bit. Robert’s Sister: Has the treatment changed for you? My behavior has gotten a lot better. I think a lot better than I used to. Robert’s Sister: What caregiving help do you use? I don’t need much help but some people do help me. It’s gotten a lot better. I have not had as many seizures now. The seizures I have are minor. I don’t have the grand mal seizures anymore. Robert’s Sister: What has been your favorite moment these last four years? What is your favorite moment or thing? My word search book is one of my favorite things. My friends are my favorite too and playing games with my friends. Robert’s Sister: What do you see for yourself in the next four years? Probably I’ll get healed completely. Thanksgiving is my absolute most favorite holiday. Christmas is a close second but Thanksgiving has to take the top prize because it is all about spending time with family and friends and there isn’t the pressure of racing to find the perfect gift. Richard and I love hosting Thanksgiving dinner and we have done so for years. Sometimes we have a small group but some years we have 20+! This year we had 19 and that was without two of the kids (Christopher is stationed in North Dakota and Caty and her mom were visiting him). My two biggest worries were that Puppy would be stressed out and bark at all the new people all day long and that the food wouldn’t be done (or hot) all at the same time. Thankfully, a few cut up hot dogs to make Puppy happy kept the barking to a minimum. He had to tell us when new people came through the door, of course, but once he realized new people equaled hot dogs he was happy to see more people streaming through. The more the merrier! My planning for a beautiful table started well in advance but I realized I was still a little stressed when I couldn’t decide on what tablecloths to use. I wanted to use new sheets so people could use markers to write on them during dinner. We’ve done this at past dinners and had such fun playing tic-tac-toe or writing humorous sayings or drawing goofy pictures. The tablecloths are a cherished tradition of our family Thanksgivings. However, after buying, washing and drying three sets of white sheets (why in the world can you not buy just a top sheet?! ), I realized white didn’t really go with my gold décor. So, after buying, washing and drying three sets of tan sheets and setting them up on the table I realized the sheets weren’t a sturdy cotton but more of a microfiber. HOW ARE WE GOING TO WRITE ON THESE SHEETS??? After running to the store the night before Thanksgiving to buy yet another three sets of thick cotton, tan sheets I realized – in the middle of the store – that I was perhaps being a little obsessive about the damn sheets. I left a basket full of sheets in the middle of the store and went home to finish baking pies. I set the table: I used my mom’s china plates as well as a mix of china plates that my dad sold door-to-door. 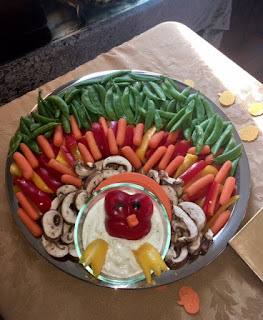 The silverware was pulled out of a felt-lined box that is only used for Thanksgiving. Salt and Pepper shakers were filled (one set given to us by Carol, Richard’s mom) and the new, fancy candle holders from Carol were set on the table with brand new gold taper candles. Everyone got a permanent marker to write on the sheets-turned-tablecloths. Thanksgiving morning was full of turkey prep (by Richard) and me peeling potatoes and yams. The weather cooperated so Richard could barbecue the turkey in the sunshine instead of under a tarp in the rain. It was chaos in the kitchen once everyone started arriving with their specialties but it was that fun kind of chaos with lots of laughter and jostling with hugs and, occasionally, me running to get Puppy chopped up hot dogs when someone new arrived. I remember saying “no, thank you” to each offer of help as each new person arrived. Thankfully my default answer of all offers of help was ignored or the food would not have been done and warm by the time it was time to eat. It was busy and crowded in the kitchen but the dinner was a team effort and I was grateful my refusal to accept help was ignored. My one regret of the day was telling Carol “no, thank you” when she offered to come into the kitchen to help. She was the one person who took me at my word and turned to sit down and visit as I asked. I didn’t realize until the following day that her feelings had been hurt that I didn’t invite her into the chaos and laughter of the kitchen. As the matriarch of the family, Carol felt marginalized, minimized and disrespected. And I did that. Of course, it was unintentional but to know my actions caused hurt feelings to a woman I adore and love was devastating. I love participating in making memorable moments and this was a moment that I completely missed. My reasons for suggesting she sit and visit were practical enough (she has trouble staying steady without a walker and the kitchen is small and was already over-crowded with all kinds of boiling and hot foods on the stove and in the oven) but I could have found a way to include her. I know better! I know that it is upsetting to her to know she cannot get around as well as she used to. As a caregiver, I know how hard it is for people to not easily do things they used to do without missing a beat. I know better and will do better next time. Thankfully, Carol did have a fun day in spite of this misstep on my part. Everyone did have a great time, we enjoyed the dinner and had way too many delicious desserts (so much for the “wedding diet!”) and politics were not even a part of the conversation (for the most part)! There were some clever drawings on the tablecloths, lots of tic-tac-toe and word games to remember for years. Next year, I will be sure to say yes to all offers of help. I will try to not obsess about the tablecloths and I will let Carol help in the kitchen. Oh, and I will have enough chairs for everyone (sorry, Other Brother)! I will remind myself there will never be a perfect day but that almost perfect is definitely good enough. I think it is only fitting to bring you an interview today, on Thanksgiving, with a mom who watched her daughter suffer through 75 to 100 seizures a day to now knowing her daughter is three years seizure-free. There are still challenges but I love this mom who has demonstrated day in and day out, for years, what resilience means. Sometimes that means soldiering on while feeling alone. Sometimes it means patiently trying medication after medication without any hint of success. Sometimes it means knowing siblings have suffered because the attention has to be on the child who is sick. Sometimes it means choosing a surgery that is dramatic, extreme and not without risk. And, sometimes, that resilience and those hard decisions pay off. I care for our 11 year old daughter, Paige. Robert’s Sister: When was Paige first diagnosed? Tell us about the process of getting the diagnosis. 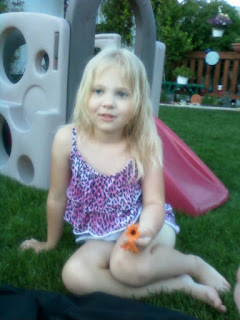 Paige was diagnosed at 3 with epilepsy. Our local hospital didn't believe us when we took her to the ER; gladly we got an appointment with a local Neurologist within one week and referred to Children's Hospital – Colorado’s top Neurologist. She was diagnosed with Childhood onset of epilepsy shortly after. VEEG's, MRIS, testing, testing, testing, and home videos of her seizing was our best help with diagnosis. Kids don't seem to seize while hooked up to tests or in a hospital environment. Robert’s Sister: How did you feel when Paige was first diagnosed with epilepsy? Shattered. Going from a healthy, happy 3 year old to seizing continuously. Hardest part was no explanation as to why they started, and not understanding it all. We did find out after her first emergency brain surgery that the cause of her seizures was Cortical Dysplasia of the right side of her brain. Robert’s Sister: Did your family treat Paige differently after the diagnosis? If so, how? Most definitely! Our older sons started hiding out in their rooms, but I can't blame them, it was all very traumatic. All of our family seemed to treat us like we had the plague. In the eight years Paige has suffered with epilepsy and had three brain surgeries, not a single family member or friend has ever witnessed her seizures. We have been left alone in this. [Editor’s note: The following paragraph was added after the original post was published.] I want to clarify that this is what WE felt when she first got sick. We were totally alone, and yes we did lose what we thought were some dear friends, people didn't know how to talk to us, so they just quit. Robert’s Sister: Did the kids at school treat Paige differently because she had epilepsy? Yes and no. She has always been in a contained classroom, so her peers don't see her as different. Other children in the school do see her differently, majority of them are great, nice, loving to her, but also have the ones that have started making fun of her. Robert’s Sister: What treatments did Paige try? What worked? What didn’t work? Paige failed every type of AED [anti-epileptic drug], due to either allergic reactions, increase in seizures due to it, or just didn't help her. She was on six different AEDS by the age of eight. She had her third and, hopefully, final epilepsy brain surgery three years ago at eight years old, a complete right modified functional Hemispherectomy. She has been seizure free since the morning of this surgery. 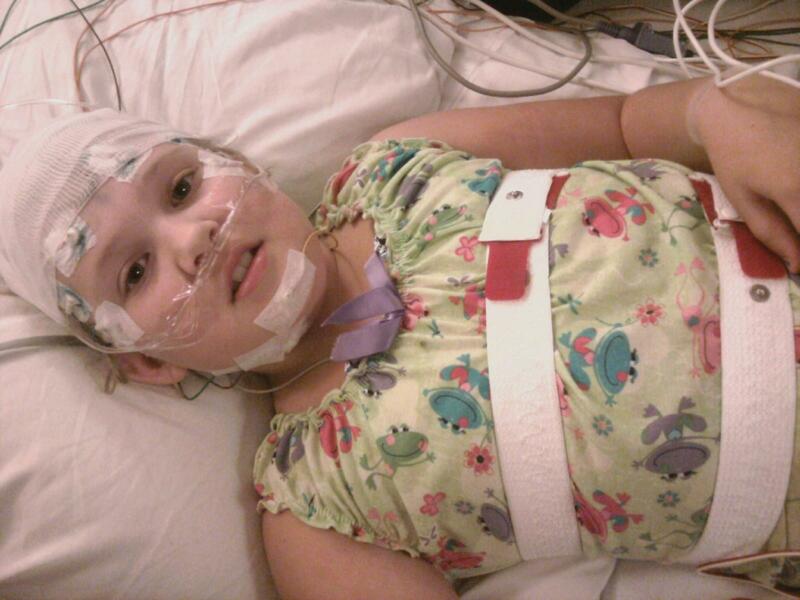 Her last seizure was at 4:00 a.m. on July 31st, 2013. She now lives with left hemiplegia. She has bilateral braces on her legs to walk and no use of her left hand what so ever, also functionally blind on the left of both eyes. Robert’s Sister: Do you think the medications affect how Paige feels and behaves? No doubt these medications are like poison. Our poor daughter had no regulation of any emotions, behaviors, feelings. She was in a complete fog most of the time. She had nocturnal seizures(75 – 100 nightly) so she never got sleep; then add Topamax, Keppra, Banzal, Lamictal, Diazepam and Onfi 2x daily and she had no chance of even a life. Robert’s Sister: Have you done any advocacy work (individually or with an organization)? What made you want to be involved? We live in a very small town. I have worked with the local newspaper on articles during Epilepsy Awareness month, talk to the kids at Paige's school about epilepsy and what she has gone through over the years, and still today due to her left hemiplegia. It stopped our life as we knew it. I feel like we have lost so many years due to seizures. Our older sons grew up, our youngest (who was two weeks old when Paige's seizures started) has grown up without me even remembering him as a baby; they all four missed any type of childhood. My husband and I are stronger than ever – we have to be – but we have lost the "us." I haven't been able to work since Paige became sick which has caused serious hardship for us. But it also made us be strong, made us advocate for our daughter, learn about a disorder that I never knew anything about or heard about. It brought me into a world of amazing special needs families. We may have lost what we thought were real friends due to our daughters Epilepsy, but the fellow Epilepsy families I have meet over this journey has taught me what true friendships are. Robert’s Sister: What is your favorite memory right now of Paige? That’s a hard one. I have great memories of her before epilepsy, the years during the worst of it when she still shined, but my favorite memories are recent ones. The sound of her laughter when she laughs so hard she gets the hiccups, cracking jokes to her dad, even when she gets angry with me. She is seizure free and off of all her AEDS, her mind is so clear, she is thinking for herself. This is what my happiness is. And to think they removed the entire right side of her brain for her to be this way! It is truly devastating. I don't know how else to describe it. I truly appreciate you for the Epilepsy Awareness you bring. You and Robert have been my inspiration over the years. You have taught me to advocate. We need so much more awareness than what there is now! I am grateful to Amy, Paige and the rest of their family for sharing Paige’s story. It is families like this who bring about epilepsy awareness and who inspire me to continue to share their stories. Thank you, Amy. I hope Paige continues to be seizure free and I look forward to following up again in a few years when Paige is a teenager! Since it is Thanksgiving, I would like to say I am grateful to the scientists, researchers, nurse practitioners and doctors all working to find a cure for epilepsy. I am grateful to the families who put one foot in front of the other to do whatever they can to stop the seizures. I am grateful to the epilepsy advocates who want everyone to know just how important it is to find a cure and to give these families and caregivers support. I am grateful to you for reading these stories and sharing them with people who may not be aware of how serious and devastating epilepsy can be. Wishing everyone a wonderful day full of love, family and friends. Get ready for my soapbox. You know it’s coming. Every year during November I work to spread awareness of epilepsy and to tell the stories of people with epilepsy or their caregivers. Usually, around the midway point, I rant and rave because there are so many good people dealing with such crap due to epilepsy not being controlled or medications causing damage, and my frustration boils over! We need a cure. Simple as that! Leslie, Robert and everyone else deserve nothing less. The follow-up interviews tear at my heart and Leslie is one who has held a special place in my heart since her last interview. Leslie’s seizures are uncontrolled which is a fact of life for one-third of those with epilepsy (Robert is in that group as well). Leslie deals with depression along with her epilepsy (a common occurrence) yet soldiers on and has hope for the future. She perseveres and deals with what is thrown at her – even when it is horrific and crappy and awful. I admire Leslie’s strength and her willingness to throw others a lifeline and, frankly, to not give up even when that option is very, very tempting. I first developed epilepsy in 1974, when I was a 17 year old junior in high school. As a result of this tremendous life change, I lost most of my friends, and most of the faculty avoided me. The majority of people believed I was either mentally ill or possessed. That was the thinking in the 70's. My family didn't talk much about it. I was expected to just take my medication and get on with things. After a seizure free year, I was weaned off medications and then had another seizure, resulting in a black eye. That's when I first lied and said I'd walked into a door because it did look like someone had punched me. Years later, my ophthalmologist found a severely detached retina, the first in a journey of medical interventions for various injuries, which I still suffer to his day. Unfortunately, my epilepsy has never been fully controlled although my husband and I were blessed with a healthy baby daughter in 1995. I suppose one could say my biggest change would be a diagnosis of Conversion Disorder, to which I say, "Just add it to the pile." My psychiatrist and I are currently exploring why I feel guilty for everything. I have a suspicion it's tied to all the things I cannot do because of the seizures. It's funny – I keep getting an image of a woman who ran a marathon despite having multiple seizures. Why don't I do that? Oh yeah, I'd break multiple bones. But still . . . Conversion Disorder also causes seizures, but for psychiatric, not neurological, reasons. In addition to the seizures, I also feel very depressed, so I am also being treated for that, both with medication and talk therapy. My husband and I are currently looking into medical marijuana since both surgery and implantable devices have been ruled out. I am not an advocate nor against the use of medical marijuana; my theory has always been: if it works for you, go for it. I have more trouble with recall of memories and words. I have time lapses more often and, for those of you who also experience this, it means that often strangers have to fill in the blanks. Who are these people, and can they be trusted? I don't know. It's one of the more frustrating parts of this disorder. I fall down more often, due to seizures and lack of balance. Right now I'm using a walker, which I'm determined to get rid of soon. I fell into the car, an accident I don't remember (except for telling my poor husband to stop pulling on my leg), and have zero memory of the three medics who inched me out, getting to the hospital, nothing until I was in ER. I truly hate losing these patches of time. Since we talked last, I have been placed on anti-depressants, which have helped some, but I am becoming more emotional, probably due to my loved one being sexually assaulted. In general, my husband (who I would compare to Trish or her husband Richard). And, believe it or not, I use Robert and his "excellent" attitude. If I'm injured, I use a caregiving service. If I have no balance, I use my bed (lol). I also see a see a psychiatrist (who is also a neurologist) weekly to work on my Conversion Disorder. This disorder turns emotions into seizures. I was diagnosed with this a few months ago, along with the epilepsy, and we are hoping successful treatment will cut the seizures in half. I urge anyone who receives an odd sounding diagnosis to get a second, third, even fourth opinion, plus read up on the diagnosis. Initially, I will admit feeling offended. The more I learned about it, however, the more it turned out to be the way the doctor presented it than my reaction to it. Both. How is that possible? On the seizure front, I have many more, and different kinds of seizures, most of which are not responding to treatment. And I have a new diagnosis in addition to epilepsy: Conversion Disorder, which is a psychiatric disorder that causes seizures. That part has become worse. What has become better is that my neurologist was able to diagnose the Conversion Disorder, and my internist was able to refer me to an excellent psychiatrist. You need to be able to "click" with your therapist, so don't hesitate to shop around. I anticipate things will get worse, then better, as I work with her, and I will need less medication. I see the future as much better, so all I have to do is hang on. Definitely when my husband and I traveled to Ohio from California to help celebrate the birthday of an Internet friend. We met a total of four Internet friends in all, including the birthday "girl's" dog, who took a liking to me. We played the game Taboo, which was great fun, and went out for a lovely dinner for her birthday. I did miss some of the fun when I had to nap in order to avoid having a seizure, but it was a small price to pay. I see the Conversion Disorder being successfully treated and the seizures being cut more than in half. I hope, of course, they will be gone, but since I've had them since 1974, a reduction would be nice. Then I would be able to do volunteer work somewhere, be in better physical shape, and perhaps travel some with my hubby. I would have a reduction in medication, better cognitive skills, and regain my ability to crochet. That would all be a dream. As I read that, it sounds nuts, coming from someone who has wanted to give up so many times. But if you can think of one, just one person who would miss you, that is reason enough to keep going. If there is one, just one person you can call, no matter where he or she is, who she is whom you can talk to, call that person. If there is no one, call your doctor. If you’re not comfortable talking with you doctor, get a therapist. Depression is very common among people with seizure disorders. Or email Trish (robertssister@att.net) so she can put you in touch with someone. Or call suicide prevention (phone number: (800) 273-8255). Or 911. You can always reach out. And you are always worth it. Always. Rather than joining a group, I would I would urge everyone to follow or friend Trish Hughes Kreis and her husband, Richard. Trish writes mainly on epilepsy and caregiving, while Richard writes regarding many other subjects of interest to us all. If anything else catches your eye, by all means join it. You can always bow out. I am inspired by Leslie and every single person I have interviewed this month. Each story is unique but the drive to fight and to find a way to stop the seizures is so very strong. My heart breaks with every one of them as they struggle through the seizures, the medications, the crap life throws at them. And yet . . . what I see from them is strength, resilience, perseverance, tenacity. These are the qualities of those with epilepsy. These people do not give up. We have to honor these people and not give up until we find a cure. Nothing short of a cure is acceptable. Leslie, I want your dream to come true. I am so happy I was able to get a follow-up interview with Connor. 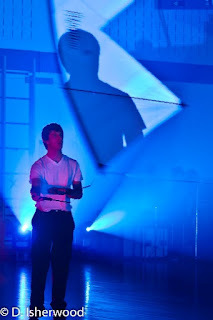 He first came to my attention (and millions of others) when he made it to the top 12 of America’s Got Talent! His indoor kite-flying talents and endurance in fighting his epilepsy and dealing with being bullied made all of us admire and root for this kid. Imagine my delight when I went out on a limb and asked him to participate in the 2012 Epilepsy Awareness Month interviews and he said yes! I was honored and impressed that the fame hadn’t gone to his head and he was willing to talk to some lady from Sacramento with a blog in order to help spread epilepsy awareness. Connor is as busy as ever but took time to tell me what he has been up to the last four years and to share his life with epilepsy. My name is Connor Doran and I have Epilepsy. I have been seizure free for the past 8 years; however, my girlfriend has seizures on a weekly basis so it is very scary for me to watch her have a seizure. 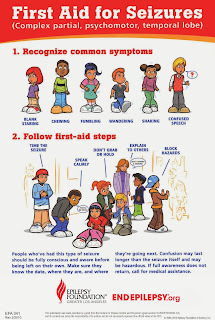 I don’t have a lot of experience taking care of someone else when they are having a seizure but I am beginning to learn how to deal with someone else when they have seizures. I hope to get my first aid card. 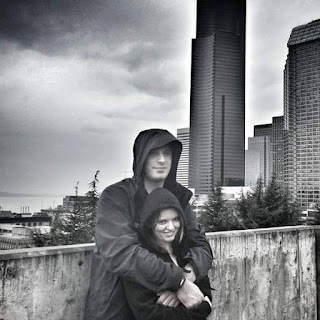 Since the last time we talked I have moved to Seattle, Washington and I graduated from South Puget Sound Community College with my Associate of Arts degree. I hope to attend the University of Puget Sound in order to get my BA in Sociology so I can help other people who struggle with the same problems and are facing the same kind of discrimination that have happened to me. I have also met the love of my life who I hope to marry. Robert’s Sister: Has the treatment changed for you or your loved one? Treatment has not changed for me. My girlfriend who has Epilepsy as well just got a seizure dog back in June and we are hoping that her seizure dog will help keep her from falling and hurting herself whenever she has a seizure. My cognitive, intellectual and emotional abilities have not changed since we last talked. I have built up a lot more muscle mass because I work out a lot. I say this because you can be the strongest person or smartest person in the world no matter who you are. I am lucky enough not to need any caregiving help. I have a Smartwatch that detects if I am going to have a seizure and lets my family and friends know where I am if I have a seizure. The Smartwatch allows me to be very independent. Living with Epilepsy has stayed the same for me. It has not gotten worse and it has not gotten better. All I know is that it has given me obstacles to achieve what I want to achieve in life but that doesn’t stop me from achieving my goals and dreams and starting a life that I want. Remember you may have Epilepsy but Epilepsy doesn’t have you. My favorite moment was when I graduated from college back in June. Because it gave me confidence that if I can graduate college with Epilepsy induced Anxiety than I can do whatever I want in life regardless of Epilepsy. My dream is for my girlfriend to move Seattle with me so we can get married and spend the rest of our lives at a luxurious house right on the Puget Sound and live happily ever after. Just remember, you may have Epilepsy but Epilepsy does not have you. If you can dream it you can do it. My email is connordorankite@gmail.com and my website is http://connordoran.com/. Oh this update makes me so happy! Congratulations, Connor, on graduating with your AA and for finding the love of your life! Thank you for sharing how much can be done, even after having been bullied, having epilepsy and overcoming all kinds of obstacles.